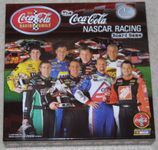 This is a list of the top NASCAR Racing Style Games - Including Board Games & Card Games. Please feel free to add any items that I've missed. There is a clear champion in this category, of course, the Daytona 500 game from 1990, but there are a lot of other options, most of which don't have a ranking. How do they rate? Seems to be a NASCAR Themed game based on the box art. This game has a very good rating but is also hard to find. It was printed in 1990 and never re-printed. It is made by a well respected designer and enjoyed by even the most serious of gamers. 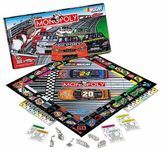 It has a small learning curve but a moderate level of strategy in car placement/movement around the track and when to use your 'big' cards. 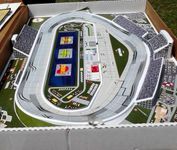 It has a wider appeal because it does not get bogged down in the super-fine details that can only be appreciated by the true racing enthusiast. 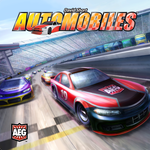 My husband really loved this CCG racing game and was really bummed it didn't last. 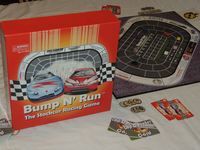 This game apparently came in multiple editions, one for 1/64 scale cars and one for 1/144 scale cars, including a 3-D board edition. I'm buying a copy to try it out, but haven't played it yet. 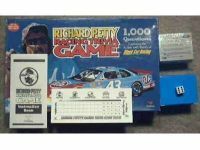 This game partnered with a major Die-Cast Car manufacturer of the time (Racing Champions) To provide realistic game pieces with actual NASCAR Licensing. That may have been the highlight of this game, however. This game was published by a small company and is quite rare. 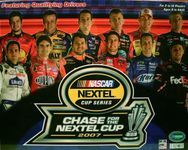 Individual races are fairly short, and the game is played as a small "season" with five races total. As I write this, only two of us here on BGG own this game. 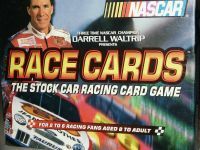 Darrell Waltrip endorsed NASCAR Game, re-implementing an older game. Saw this one on eBay. 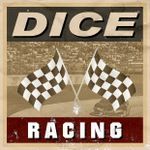 NASCAR simulation racing game based on real life driving stats from a particular season.